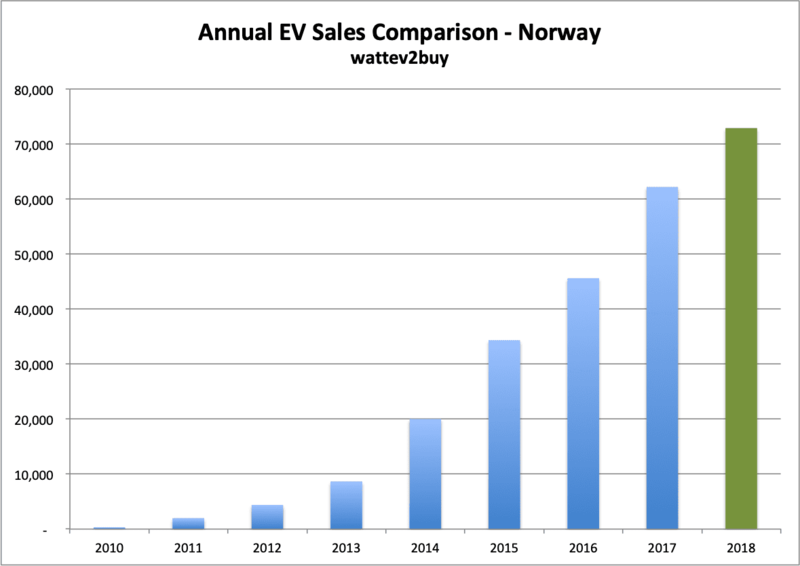 Click through to our detailed breakdown of EV sales in Norway filled with charts, tables, and insights. 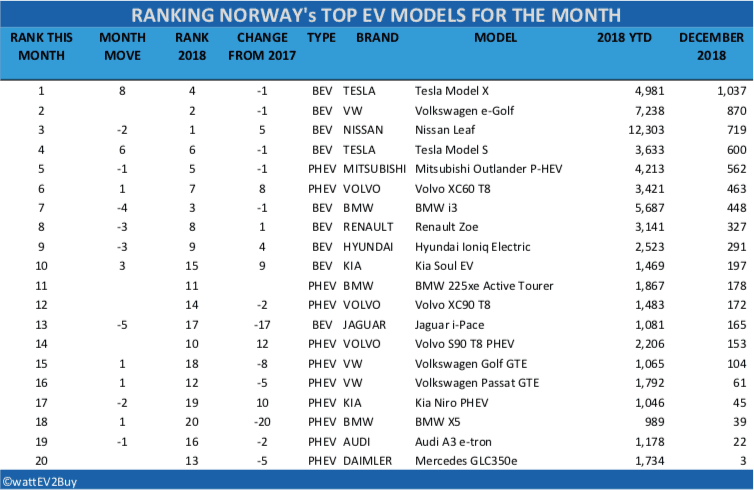 We look at the Top EV brands in Norway, the gainers, the worst performing EVs in Norway and the battle between BEV and PHEV models. 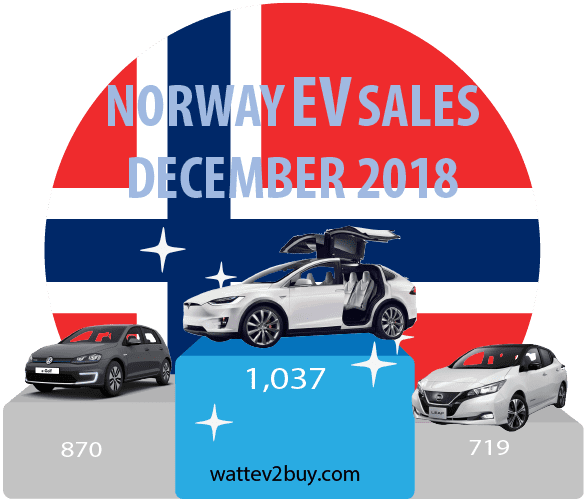 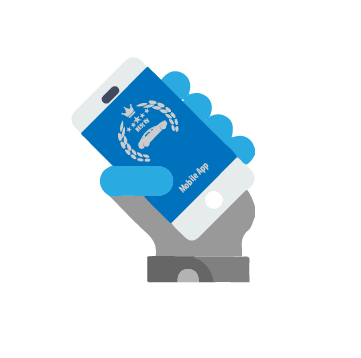 Norway has maintained the position of the No.1 in the Global Rankings for the past 3 years as the country forges ahead to 100% EV ownership by 2025. 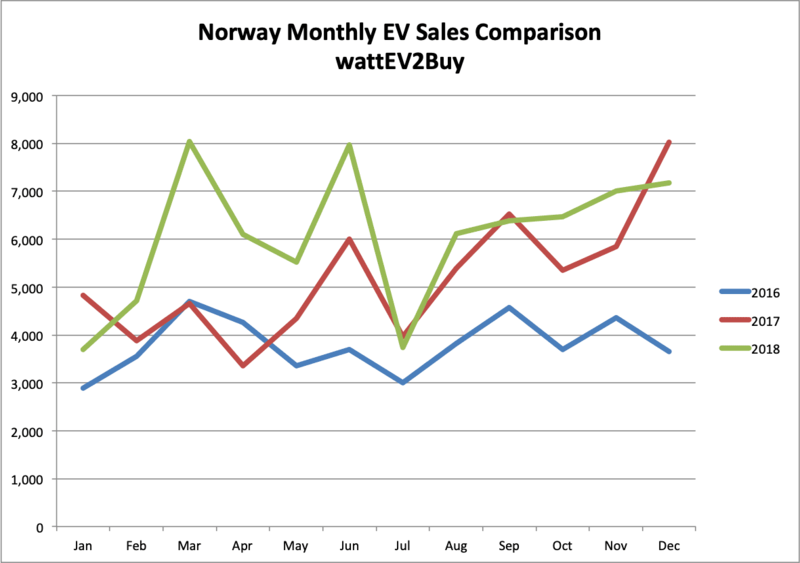 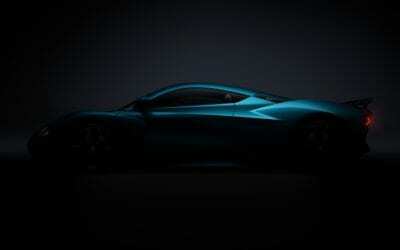 Read our detailed analysis of the incentives that drive the Norwegian market for electric cars. 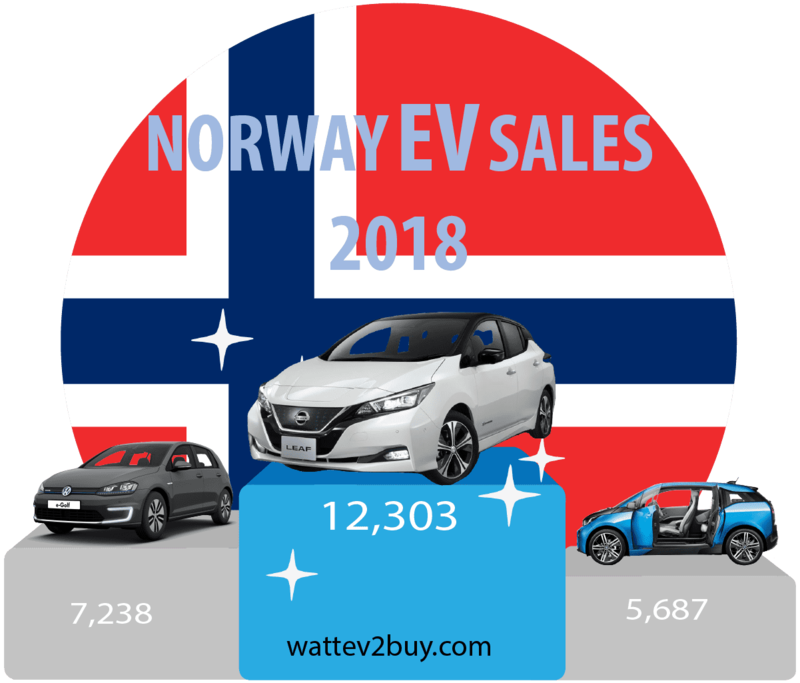 Support for the electrification of transport systems got a push this past week with Norway abandoning the proposed ‘Tesla‘ tax which would have penalized EVs weighing more than 2 tonnes. 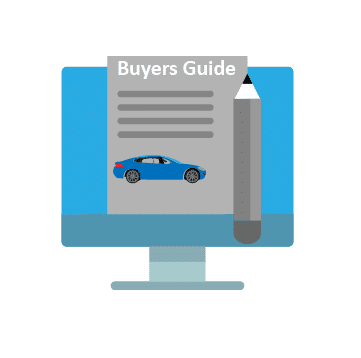 According to web publication Quartz policymakers and political parties supporting tax incentives for EVs agreed to pass the budget excluding the proposed tax. 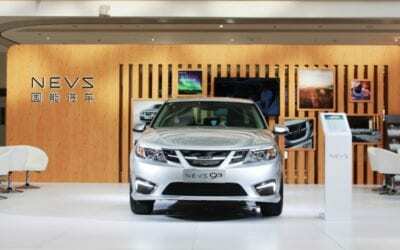 As the electric vehicle sales in neighboring Norway climbed 30% year-on-year for the month of May the CEO of Russia’s largest oil company, Rosneft PJSC, Igor Sechin denounced EVs as overrated. 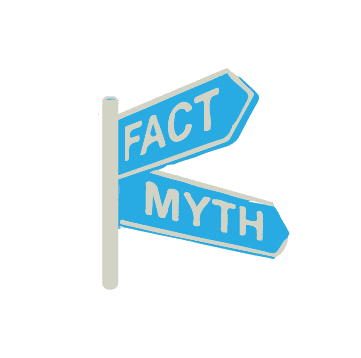 Mr. Sechin was quoted by Bloomberg during a speech at the St.Petersburg International Economic Forum saying Tesla is overvalued and EVs are “not as popular as had been expected” in Europe’s biggest economies. 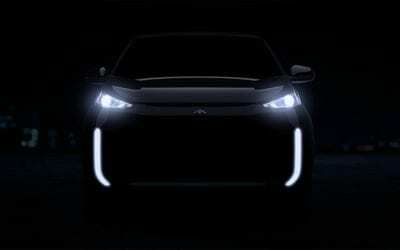 Mr. Sechin went further saying “The market’s assessment of the prospects of electric car producers, in our view, is significantly overestimated,” and that “Until the electric transport industry becomes as user-friendly and attractive for consumers as the cars with internal combustion engines, the prospects for electric vehicles remain largely uncertain.” Rosneft that had 2015 revenues of nearly $100 billion market value was clipped by that of Tesla at the end of May 2017. 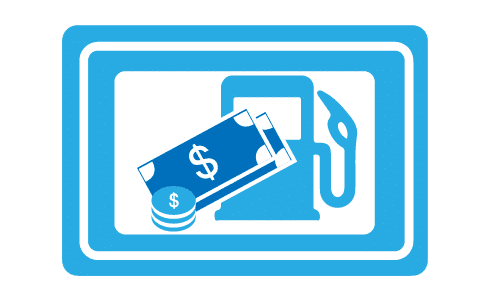 Tesla shares were up nearly 60% for the year while Rosneft was down 20%. 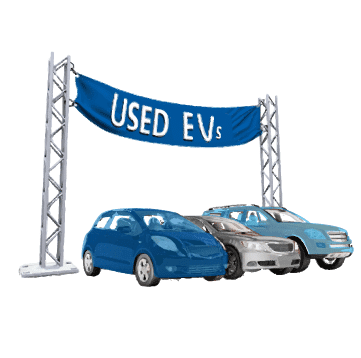 Norway extended its 25% VAT exemption on electric vehicles to 2020. 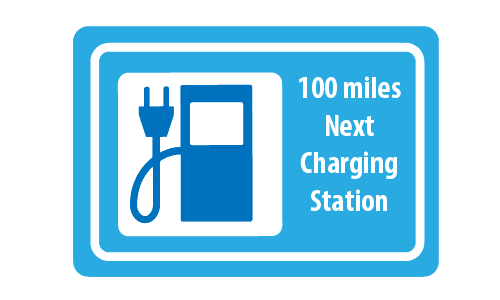 The aggressive incentives and targets for electric vehicles set by the Norwegian Government aim to change the vehicle mix to being 100% electric based by 2025. 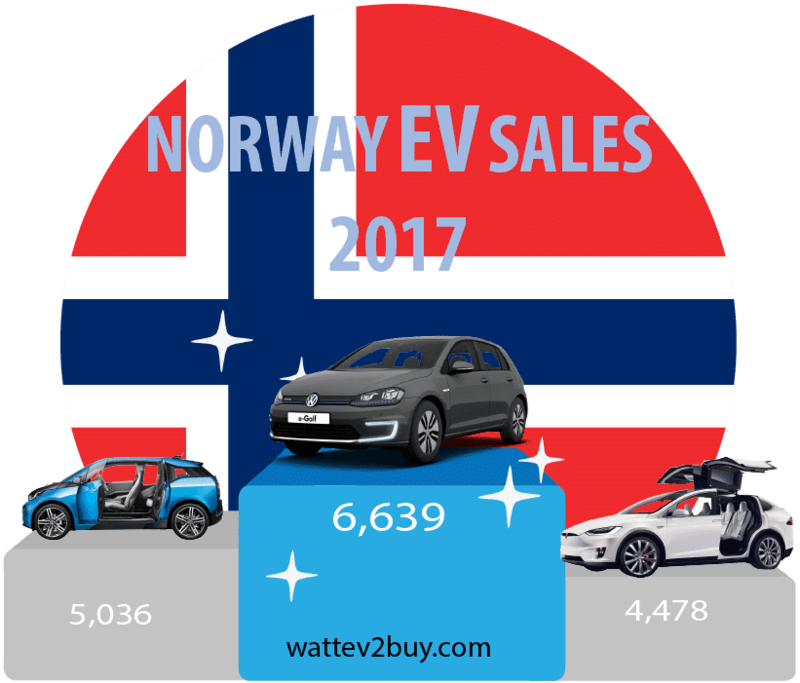 Currently, Norway is the world’s top performer by market share, with around 20% of all cars already electric.